Brad Keselowski was black-flagged by NASCAR on Lap 243 of Sunday’s Sylvania 300 at New Hampshire Motor Speedway, after the driver of the No. 2 Miller Lite Ford jumped a restart. It was exactly what a vocal group of drivers, team owners, media members and fans have been demanding for weeks, yet somehow, no one seems happy with the decision. Keselowski jumped ahead of race leader Greg Biffle as their cars entered NASCAR’s designated restart zone, and was still ahead when they left the zone and received the green flag. 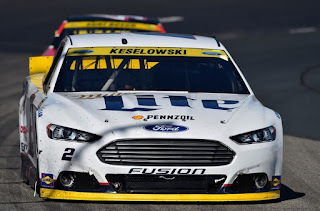 Going strictly by the rule book, Keselowski was guilty of a violation, despite the fact that Biffle regained the lead as the pair raced through Turns One and Two. As the rules require, NASCAR ordered Keselowski to pit road for a pass-through penalty that mired him deep in the field, ending his hopes for Victory Lane and triggering a maelstrom of protest from many of the same people that demanded that exact response just a few days earlier. One of those people was Keselowski’s car owner, Roger Penske, who blasted the sanctioning body for not penalizing Matt Kenseth three weeks ago at Richmond International Raceway, after Kenseth jumped Team Penske driver Joey Logano on the race’s final restart. Penske chastised NASCAR for “inconsistencies” in their restart officiating, and drivers like Dale Earnhardt, Jr., Logano and Kasey Kahne quickly joined the chorus of criticism. Media members and fans chimed in, as well, with NASCAR eventually buckling under the pressure and adding an unnecessary “restart camera” to their technological arsenal to keep an eagle-eye on restarts. After that, it was only a matter of time until someone fell victim to their competitive native and gassed it up a few feet too soon. Keselowski was that someone, and when NASCAR examined the fancy, high-definition data from that Lap 243 restart, they detected a small (but definite) violation. 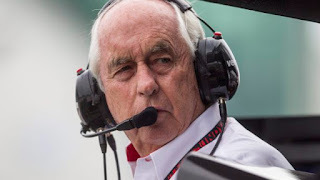 They then gave the critics what they wanted, assessing Roger Penske’s driver a major penalty for the most minor of violations. In recent weeks, Penske and company have preached “consistency at all costs,” ignoring the fact that officials have always been empowered (and expected) to make judgment calls during the course of a race. In virtually every professional sport, officials are allowed to exercise discretion in their enforcement of the rules. In Major League Baseball, there are significant differences in the way individual umpires interpret the strike zone. NBA officials routinely overlook traveling and three-second violations, in the interest of keeping the game moving. National Football League officials could easily call multiple penalties on every play, if they chose to do so, while linesmen in the National Hockey League routinely “swallow the whistle” as time runs down, allowing the players to decide the outcome. They understand what many in NASCAR have apparently forgotten; that fans pay their money to watch athletes, not umpires. No doubt about it, NASCAR called it right Sunday. The rulebook forbids the second-place driver from accelerating first within the restart zone. 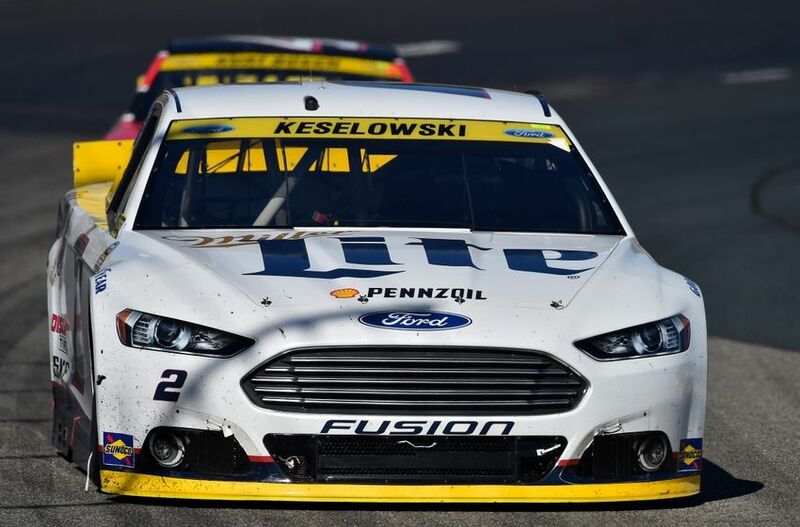 Keselowski clearly did that Sunday, regardless of whether he actually completed a pass. And in a sport that no longer values common sense, the hammer had to fall, setting a precedent that will almost certainly plague the sport for years to come. No more common sense, enough of discretion. All we’ll have left is the empty ache created by the witless desire for consistency at all costs. “We're not out to get anybody,” said NASCAR’s Buck. “But we're the keeper of the rules and the enforcer of the rules. All anybody asks for in this garage area is to be treated fairly, and we believe we did our job today." Be careful what you wish for, NASCAR fans. Because you just got it. Well karma is that and while I liked Brad's response I probably would have taken a different approach. I would have said "I applaud NASCAR for making a call and expect them to be consistent now in all future restart calls." That way it would put even more pressure on NASCAR to follow through on all calls. Now how do I feel about the call? I think it didn't warrant the penalty. I feel he should have got a warning. You can see Brad slowed down at some point during the front stretch to let Greg get by him going in to turn 1. No harm no foul in my opinion. There is no rule allowing a "warning." And since we are no longer allowed to use common sense, "no harm, no foul" can't be considered, either. It's all about enforcing the rules. Dave, I may be wrong but did they not issue a "warning" to someone about their restart just a week or two ago in the Sprint Cup race? Gordon got the warning. Dave, could you shed some light on why the "give back the spot, avoid the penalty" doesn't apply to restarts? I thought Kez atoned on-track for his violation, but maybe the rulebook says atonement doesn't apply to restarts? Simply because there is nothing in the rules about "giving back the spot." Could there be? Absolutely. But as of now, there is not. Why can't the leader just be in his / her own row. Car in 2nd place lines up in row 2 on the inside, with the car in 3rd on the outside, and so on. Leader gets row one all to himself, can choose what lane he wants. You and a few others have been preaching this for about 3 weeks now. Nobody listened. Not when Kenseth jumped....not when they reviewed Gordon's restart....but I bet they'll listen now when hindsight is 20-20. It's a shame. Zero tolerance worked so well in schools, that I'm sure will be just as productive and fun in NASCAR. But a 1/10 of a second time on pit road is also a penalty and could change the Championship winner. I heard Mr Moody say on the radio that is different because it involves safety but 1/10 of a second is not creating a safety issue. NASCAR let it get out of hand with Gordon and Kenseth and all the complaining started now it is clear. Racers being racers kept pushing the limit and now they found it. Pretty normal racing mentality. I don't see the problem, and I don't understand the outrage in the call. In baseball, if a pitch is a strike, it's a strike. In football, offsides is offsides, and pass interference is pass interference. It's a rule, so it either needs to be enforced or done away with. Pit road speeds affect the outcome of a race - nobody gets their shorts in a twist if someone's speeding on pit road. You never hear, "oh, but he was only speeding a little bit." Nope, it's black and white, balls and strikes, in bounds or out of bounds, matter of fact truth. Were you speeding? If yes, then penalty. If no, then no penalty. Same with the restart zone. I don't care if he had given the lead back before Turn 1 - that's not the rule. It's a simply concept: The race leader starts the race. You want it fixed so that there's no questions? Go back to single file restarts. Remember back when the leader actually HAD an advantage? "Catching the leader is one thing, but passing him is something different." Not with double-file restarts. You can simply wait for a caution, and now your sitting door to door with him. You can put me solidly in the side of getting what I asked for. If it's a rule, enforce it or change the rules. It's not a matter of the sport not valuing common sense, it's a sport that finally realizes that "protecting the integrity of the sport" means more than just a reason to punish a mouthy driver. It's an unexpected side effect of the double file restarts. "Look at the excitement it added to the sport!" Yeah, it opened the door for a who new way to try and cheat the rules. Especially if they're only rules when NASCAR feels like enforcing it. Next time someone's caught running 58 in a 55 pit road speed limit, let's have them just tell NASCAR that it's a judgment call and the drivers just need to police themselves. You know, had he been doing 70, well then, that's egregious enough to warrant a call. Every week in every other sport, officials are skewered for not making correct calls. Maybe they missed a fumble when a runner's knee wasn't down when the ball came out. A receiver gets bumped while the ball's in the air, and no pass interference gets called. A pitch is thrown at the ankles and the ump calls it a strike. This is the same thing. The restart zone and the expected driver conduct is clearly explained in the driver meetings. Get over it and quit jumping the restarts. That's not NASCAR not valuing common sense, it's a hard-headed drivers ignoring the rules to exploit an advantage. I see NO problem in NASCAR making this call. I'm tired of watching these 2nd place drivers flipping the bird to the rules, to NASCAR, and to the "integrity of the sport" by just deciding to go whenever they want to and hope to get away with it. Michael Waltrip cheats with jet fuel, the world loses it's mind because he's a cheater. But Mr. 2nd Place can blatantly ignore restart rules/protocol every single race, well that's all just in the sport of good competition. Good on ya, Nascar! Thank you for finally enforcing this. It's about time the leader finally got back the advantage he lost with the loss of single file restarts. Don't blame the penalty, blame the driver that earned it because he's the one that decided to go whenever he wanted to go. Thanks Dwayne. You just saved me a lot of typing. Your comment is 100% on the mark. Were you tired of seeing Matt always jump the restart when he is leading, I was but to no avail because Nascar said nah it's Toyota and JGR. What about when Jeff did his jump early, were you tired of that too. Nope, you probably agreed with Nascar and said oh well it's Jeff's last year lets give him a huge break. 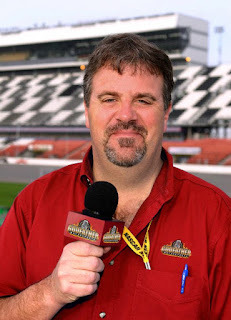 But since it is Brad who isn't afraid to speak his mind, both for and against Nascar, let's call it on him because many drivers like to pile it on when it comes to Brad. Why even the punk Harvick pushed him into Jeff last year from behind like the sneak he is. Did anyone read what Kurt Busch had to say, he was lined up behind Biffle and he said Biffle stacked them up when he spun his wheels on the restart. So if the number one car spins his wheels in the restart zone how in the world can the second place car keep from moving ahead. In the end Brad prevailed over Nascar, he came back and finished 12th which more than likely moved him on to the second round. Now we can move on to the next race and see which of the drivers Harvick has punked take him out. Matt & Denny would love to see him out of the chase and they will be running up front this week, so will Carl and JJ. Brad won't hesitate to take harvick out. I imagine that there will a new revamped policy on restarts and reviews of restarts starting in 2016. They are going to give the teams and fans exactly what they want, results be darned, for the rest of this season and then change it to something that is manageable for 2016. I think I heard that Jeff Gordon's team was warned after it looked like he jumped the restart at Chicagoland. Regardless, the current rule and its enforcement, to paraphrase the governing body, are not in the best interest of Nascar. I keep trying to come up with solutions to the problem, but it seems like my cures are worse than the problem. Thank you WhatAmIMissing. I thought someone got a warning a week or two ago. If Jeff Gordon can get a warning; why not Brad? And here's my prediction: The hard headed drivers will figure out to stay in line and wait on the leader and this won't be an issue. The problem was the drivers, not the system. This will fix the problem, and we'll all move forward not noticing the officials or 2nd place drivers jumping the restarts. More of NASCARs selective enforcement. Why not go back to the old way,starter waves the green at start/finish line.Letting Gordon,,Kennseth & Kyle go then nail Keselowski is total BS. Well this call does help hurt a Ford making it into the chase. Rumors would have it NASCAR want's a Toyota to win the championship this year for fear of them leaving the sport. The only non Toyota I could see NASCAR wanting to win the championship I feel would be Jeff Gordon. "This call does help hurt a Ford making it into the Chase." Um, yeah. It certainly does help hurt. Thanks. Dave would you rather I put this call helps the initiative speculated by others that Nascar is looking to help Toyota win the Championship; thus hurting a Ford team for taking one of the spots in the Chase for the next round? Come on people, let's be honest here. You just knew the first one to get busted would be Bad Brad. Would we even be talking about this if the roles had been reversed and Biffle was the one who got the penalty? For all the negativity surrounding the sport these days we are truly blessed by the characters of the current crop of elite drivers. If you don't believe me check BK's Twitter comment regarding his dinner with Paige White last night. @epaigewhite accused me of jumping the start on dinner. Now I'm Serving a pass through penalty in the living room"
Why not simply go back to using the flagman/woman as the starter? Everybody goes when the flag waves. If it's possible to muck up something simple just hand it off to NASCAR. NASCAR hasn't fixed the root problem; the "call" will be based upon more subjective observations rather than objective evidence. Therefore... the problem remains and the methods of penalizing will be fraught with human interpretations of what they think they just saw. There'll be many more instances of controversy regarding how re-starts "appear" and are dealt with. It was divine intervention. Brad last pitted the same lap Harvick did. He would have suffered the same fate has he not topped off on his penalty pass through pit road. He actually salvaged a decent finish.